Looking for a way to give new life to your tired old kitchen setup? With rich colors, distinctive styles, and an array of playful patterns, kitchen rugs can really make your space pop. Not only that, you can express yourself through your own signature style while giving the area a homey atmosphere that anyone can love. It’s a stylish way to make your house into a home. So what are the best area rugs for kitchens? We’re glad you asked. Let’s take this train to kitchen rug town! Why a Rug in the Kitchen? A rug in the kitchen is a great way to provide good function AND a stylish flair to any space. Rugs are beautiful ways to augment austere spaces and give color and depth to places that feel lifeless and in need of kitchen decor. Think of rugs not as products, but as an accessory to your floor. No one wants to stare at bland tile, laminate, or wood flooring, this is a great way to make your kitchen sing in a subtle way. How do I find the best area rugs for Kitchen? Plan Ahead! If you’re planning on adding a rug, you need to think about space. Size and proportion are a big deal so you know how much room you have to work with, and consequently how big or small your kitchen rug should be. You can either measure out that space, or in many cases floor tape might be a way to get a good idea of what you need. Here’s a handy tip, it’s important to leave between six and eighteen inches of space from the edges of your rug to the base of your cabinets. This makes sure that you’ll always have space to open your cabinets without tripping up on your kitchen rug. You’ll also need to consider your rug’s shape, style, and material. 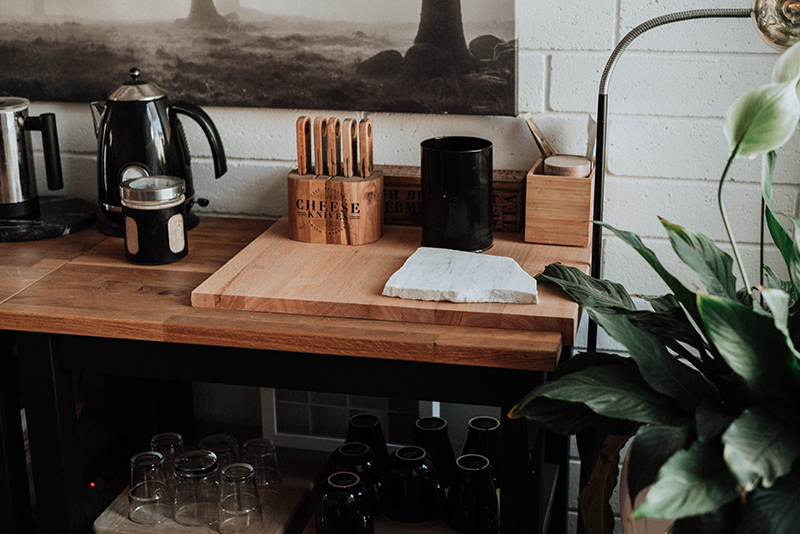 While rubber mats might be functional, it can look wonky if the rest of your kitchen is made from natural woods and doesn’t match up style-wise. How about care maintenance? Do you want to have to worry about this rug being replaced, or is this to last for a long time? Thinking about these collection features can save a lot of time and wonder before you even lay your kitchen rug on the ground. The shape is important. 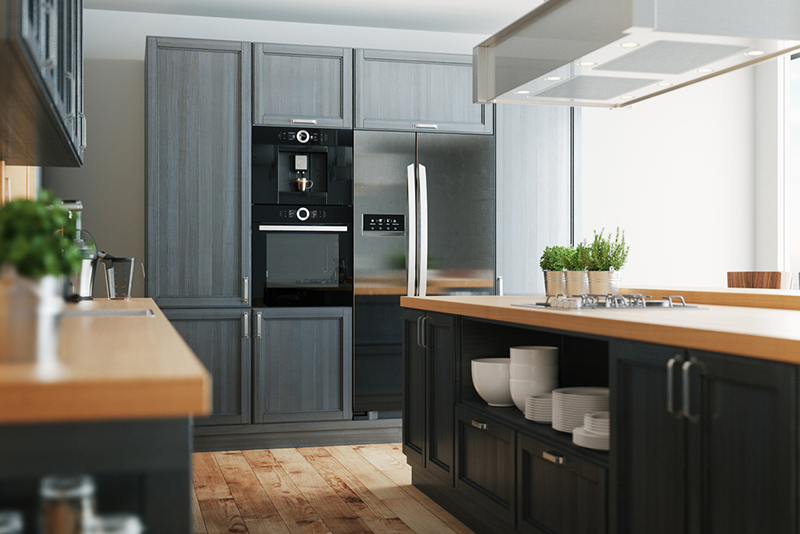 Do you have a long, thin kitchen? Long rectangular kitchen rug sets could be a blessing to you. Do you have a wide, well-lit space? Circular area rugs might be the way to go. 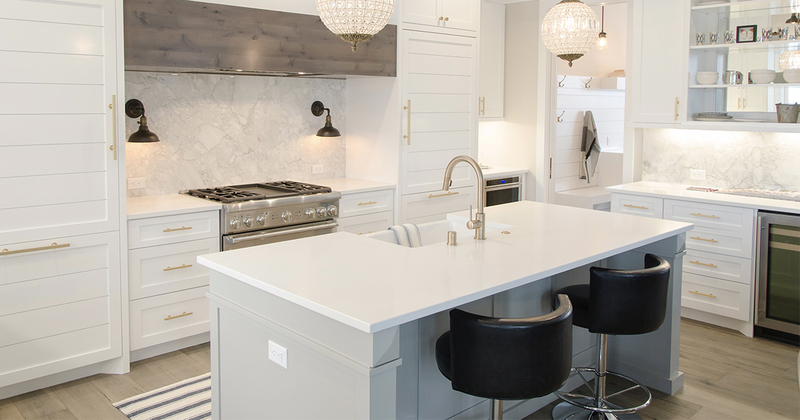 Thinking in these terms can help determine what’s best for your kitchen area and the aesthetics of the room. It’s also a comfort AND functionality issue. Many newer rugs are made with great materials that emphasize comfort and quality. These kitchen rugs and mats are durable, great for standing while doing the dishes (and preventing foot fatigue) while minimizing the effects of spills and other kitchen disasters. They’re easily vacuumed and often are stain resistant — depending on your choice. It’s hard to go wrong when asking yourself what are the best area rugs for kitchen, so let’s just break it down further and see which is the right choice for you. 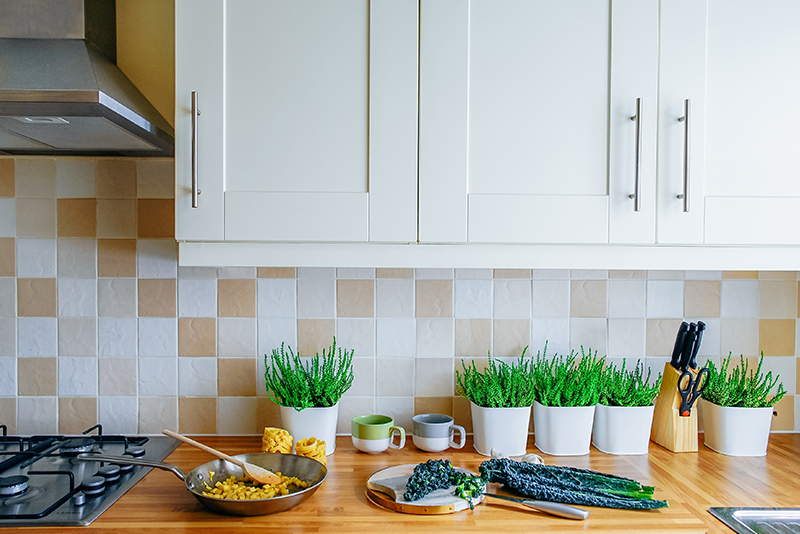 Suffice to say, if you’re looking to do a kitchen makeover, but don’t want to spend crazy money on renovating or an expensive interior designer, this is an easy way to give your kitchen the kick it needs. It doesn’t take a lot of time to do, and the effects can last for years. The best part? These rugs are interchangeable, giving your kitchen the flexibility it needs to be a welcoming space year round — no matter the time or season. 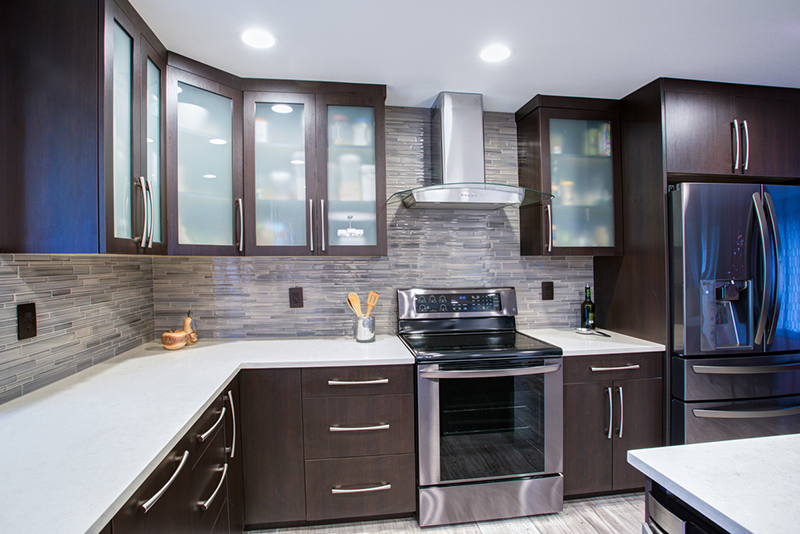 Here’s an important question to ask yourself: What kind of kitchen space do you have? Are kids playing in it a lot? Are you cooking a ton? 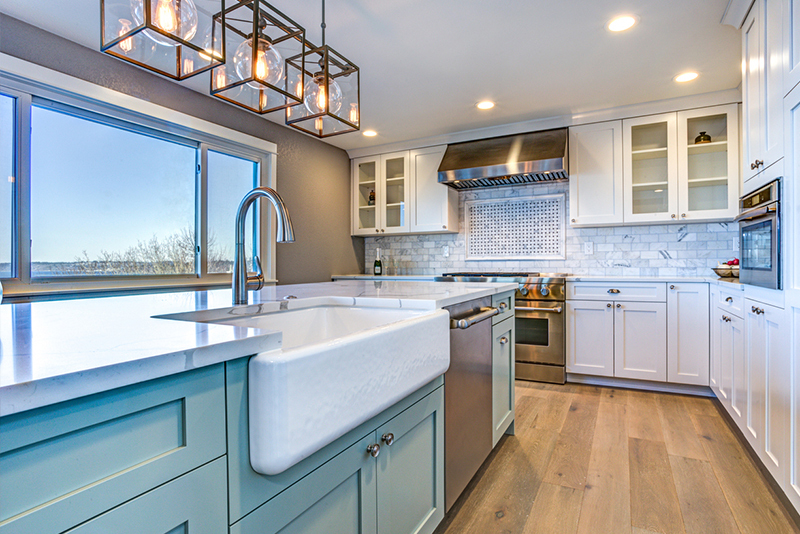 If you have a high traffic kitchen space, then your kitchen rug can get gross. If your kitchen rug is in a high traffic area, it’s going to need to be durable, if it’s close to the sink it needs to be able to take water from dishwashing, and if you have kids, well, there are going to be spills. That’s OK! In such instances, a modern design kitchen rug could be right for you. Many modern design kitchen rugs are built from heavy-duty, natural materials like jute or sisal which make them ultra durable and easy to clean. Basically, you just need a little soap, water, and elbow grease to keep these kitchen rugs looking clean as a whistle. It’s a great way to find a good design that’s going to stay looking nice with minimal effort. Not only that, many modern kitchen rug sets come equipped with memory foam which can help your feet, and are heat resistant — minimizing foot fatigue if you feel like you’re spending a lot of time standing over the kitchen sink. They might not be the most stylish option, but modern design kitchen rugs make up for it in functionality and cleaning ease. Worth a shot if you’re a mom or dad on the go and don’t want to worry about up keep. Vintage design kitchen rugs are amazing in the flexibility of style that they give. Looking for a cool mid-century modern piece that oozes Mad Men-type cool? Pick up a rug from the sixties. Looking for a courtly, plush entrance to your dining hall? That’s definitely available for you too. Vintage kitchen rugs have the advantage of being passed down through the years, so that if they’ve been kept in good shape, it’s probably for good reason — their aesthetic is beautiful. This is where it is important to be honest about yourself and how you use this space. While vintage kitchen rugs can be amazing, if you hodgepodge them together too much, it’s going to make your kitchen look cluttered and awkward. Very rarely are these pieces available as kitchen rug sets (typically you’re getting one at a time), so if you’re purchasing more than one piece it’s important to note that each rug matches the other’s styles AND the style created in the kitchen. It’s also worth thinking about the texture. Many older kitchen rugs use natural fibers, braided rugs with many cracks and crevices that can make it a crumb and dust magnet. It might not be the best option for under your kitchen table if you’re trying to keep it nice and stain-free. While you might dig that funky herringbone pattern, it’s going to look less cool when it’s covered in six-month-old grape juice stains. Farmhouse kitchen rugs are a great compromise between the functionality of a more modern rug and a classic vintage one. Most of these rugs have classic, simple patterns and are made from rugged materials that can stand up to multiple uses and stains. Often large, these kitchen rug sets can tie not only a kitchen design together — but an entire house. Often these are used as runners in the front area of a house, making it a pleasing way to link your kitchen to your entrance in a welcoming way. While not the best option if you’re looking for crisp, clean, and modern, these rugs ARE a great option if you’re looking for a homey, lived in look. Think apple crisp and fresh eggs in the morning. These are the type of kitchen rugs that your grandparents would have used. We don’t say that in a bad way, there’s a reason that they’ve stayed in style for over a hundred years. 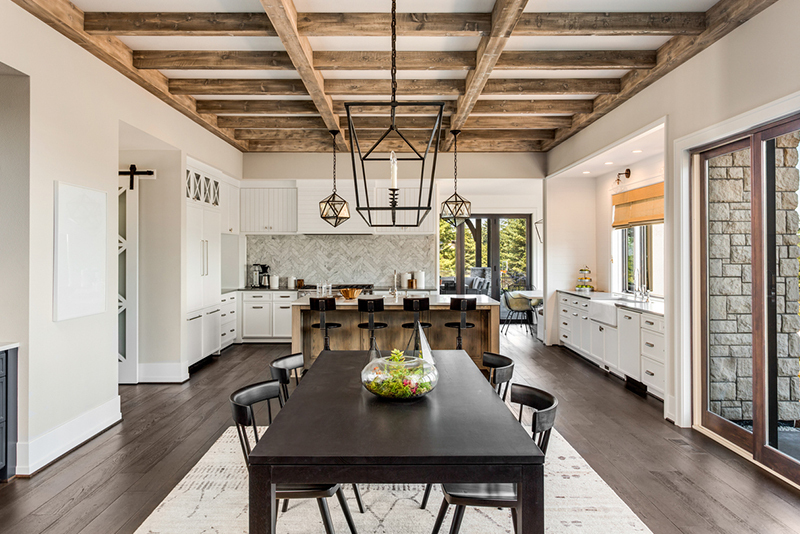 If you’ve got an older home and are wondering what the best area rugs for kitchen are for this type of space, then a farmhouse design is the way to go. Try to pick one with a simple color and design, maybe cream and a dark blue. That’s a great way to get a little color while still staying true to the traditional look of these rugs. These are great for hiding spills, and are often very stain resistant, no matter what area you’ve put them in. They always look perfect. These can be especially beautiful when paired with natural woods, high windows, and tons of natural light. Order one if your idea of a fun time is a rustic hayride or a nice long fire on a Friday night. Shabby chic kitchen rugs are like what your college house SHOULD have looked like if y’all had had a sense of style. This is the kind of rug that often seems like it’s paired best with incense and fun tapestries. While they may look a little, uh, lived in, these kitchen rugs have a sense of funky style that can lead to a totally unique cooking space. Plus, you don’t feel that bad when you spill some homemade pico on them! 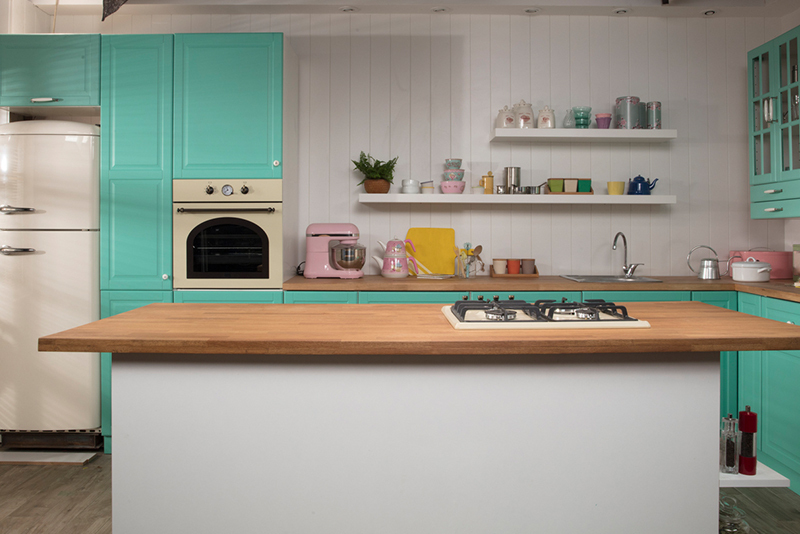 Shabby chic is a fun style, especially if you’ve got a smaller space and just want to put a bright pop of colour or pattern to your kitchen space. Many times these rugs are defined by their intricate patterns, often influenced by mandalas and other geometrically complex designs. That makes them fun, pleasing to look at, and able to hide a stain surprisingly well. While they may not have the durability of some of the other rugs, these rugs make up for it in hipness. This is the rug for you if you’ve got a dark space that could use a bit of brightening. These rugs set off any kind of room, but that power can also lead to a busy space if you get too crazy with them. Some of the more popular patterns include Demonte, Angelique, and others, but really just perusing until you find the one you want can go a long way. If you have a more classic space these can actually give a rather Victorian feel to the home, which can be fun and classic. Better than an austere, cold kitchen to be sure. We’ve covered the best area rugs for kitchens, so now it’s time for you to embrace the craze and find the one that’s best for you. Are you funky? Try shabby chic. Classic? Definitely a vintage kind of person. Soft and homey? The farmhouse rug is right for you. Even within these design categories, you will find an almost limitless amount of options for patterns, material, and weave. That’s a good thing. Your kitchen rug set is like your thumbprint, totally unique to you. But unlike a thumbprint, it’s something that people will actually see and is a great way to express yourself. It’s important to be patient and stick to your guns when you’re putting together kitchen rug sets.Give yourself a little lead time. Remember that when done well, these kitchen rugs will last you a lifetime. You don’t have to rush the process and make compromises just for the sake of a deal. If you end up not liking one or it doesn’t hold up on repeated use, that may mean that you’re just buying rug after rug. That doesn’t save money, time, or space. Instead, really focus on the vision you have of your dream kitchen and use these rugs to make that dream a reality. When done well, kitchen rug sets are the foundation for any great space. Using a sample program, they can help augment, warming a room or cooling it depending on what you need. They can add class or pizazz, and in general, just make the kitchen a friendly and inviting room to hang out in. Whether you’re a seasoned interior designer or are a first time home owner looking to make a new space their own, kitchen rugs are a great and relatively inexpensive way to make your mark on your home. Remember with a little room board, a rug turns a house into a home. That’s a pretty powerful skill to have. Get out there and find the kitchen rug that makes you smile.